This home is centered on 4 acres of wooded land for total privacy! There is a pool w/ large deck, a pond & tons of green space. This home has addtl 1 bed in-law suite w/ separate entrance. 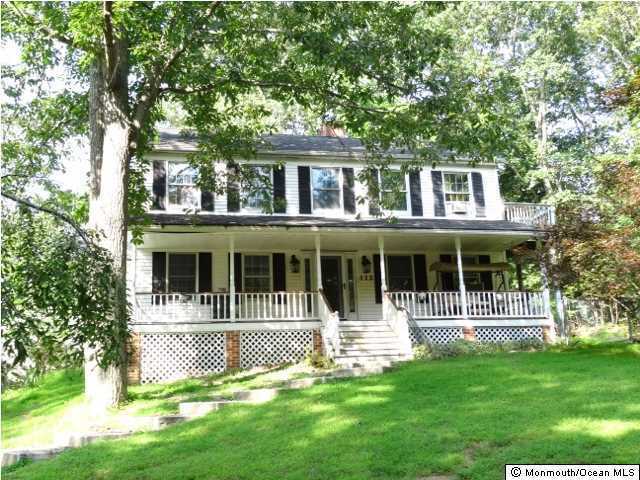 Main home has lrg eat-in kitchen, sep dining rm, living, powder rm & 1 bed on 1st floor. Top floor has 3 bedrooms & 2 full baths. Master bath has been renovated w/ huge jetted tub & skylight. The home has 2 fireplaces. Laundry rm on main level. 2 car garage. This is a Short sale - w/ lender approval needed.